Debating proposals in committees is one of the most important parts of the legislative process. I was honored recently to receive a number of appointments to serve on committees that will address some of the biggest issues the General Assembly will consider over the next two years. In addition to being appointed to lead the Senate Labor and Industry Committee, I will also serve as Vice Chair of the Senate Intergovernmental Operations Committee, and as a member of the Senate Environmental Resources and Energy Committee, Senate Judiciary Committee, Senate Rules and Executive Nominations Committee, and Senate Transportation Committee. I am excited that each of these appointments will allow me to play an active role in addressing issues that community residents have identified as priorities, including creating jobs, improving government efficiency, critical transportation system upgrades, criminal justice reform and improving the permitting process in state agencies. One of the goals of the new Criminal Justice Reform Caucus is to focus on ensuring every person has a fair chance for rehabilitation. 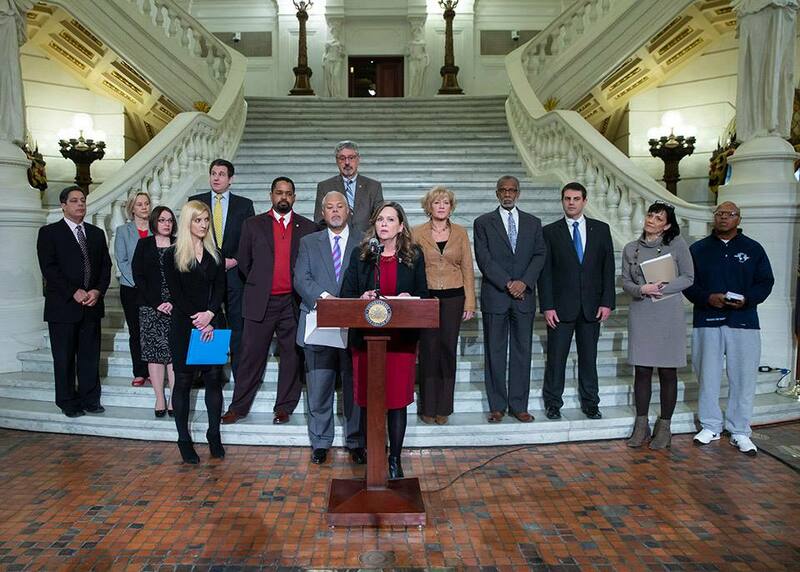 I participated in a press conference with my colleague Senator Anthony Williams and a number of other lawmakers and advocacy organizations this week to discuss legislation we have introduced to update probation policies in Pennsylvania to make the system function more fairly and efficiently. Our bill would help minimize punishments for some technical violations – such as minor traffic offenses – and create a better framework for the probation system. Ultimately, the legislation should help reduce the amount of time and resources devoted to probationers who have already completed sentences and allow them to fully re-integrate into society. I had an opportunity to participate in an interview with the Pennsylvania School Boards Association regarding the importance of lawmakers visiting local schools and learning about all of the unique challenges facing the education community. I appreciated the chance to discuss how some of our local schools are approaching a wide variety of issues and meeting the needs of students in creative ways. The entire conversation is available here. I had a few minutes to visit one of my favorite advocates in the state Capitol this week – Victoria! This beautiful girl suffers from a variety of health issues after spending many years in a puppy mill. 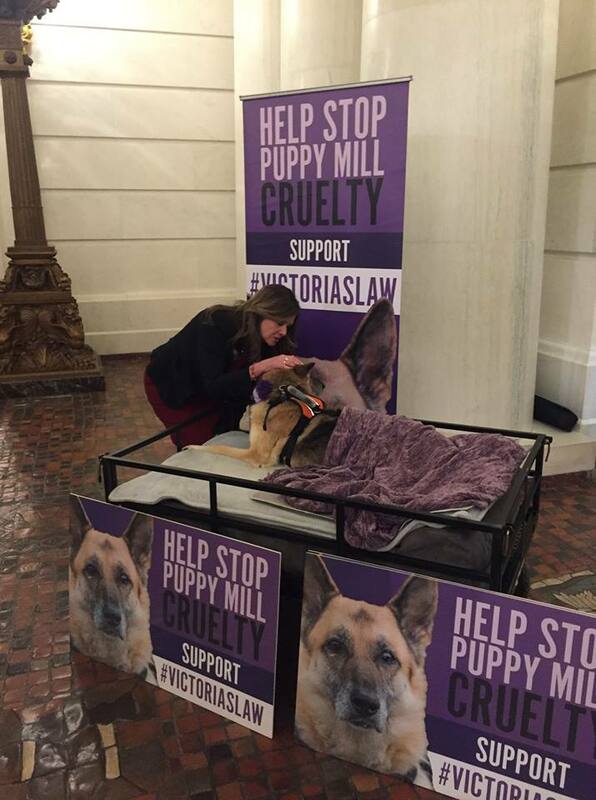 She has become the inspiration behind a new law to prohibit irresponsible breeding practices in Pennsylvania. The Pennsylvania Department of Transportation (PennDOT) Summer Maintenance Program offers short-term job opportunities to many full-time college students. Applications for the program are available now and will be accepted through February 15. The program is open to full-time college students who are enrolled for the Fall 2019 semester. Applications and more information about the program are available here. School districts, local governments, non-profit organizations and other public and private entities can apply now for grants through the Driving PA Forward grant program administered by the Pennsylvania Department of Environmental Protection. The program is designed to replace, repower, or retrofit fleet diesel-powered trucks, buses and other vehicles and equipment in order to reduce air pollution. The application deadline is February 28. Applications and more information is available online here or by contacting the Bureau of Air Quality at ra-epvwmitigation@pa.gov or (717) 787-9495.